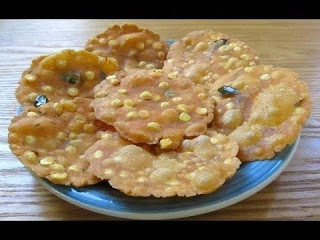 Namkeens are the ultimate Indian snacks. These salted munchies are hard to resist. Indians just need an excuse to savour namkeens. Every household will surely have a packet of namkeen. If you are visiting any home at evening or on an idle afternoon then you will surely be welcomed with a plate of namkeens and a cup of piping hot tea or coffee. 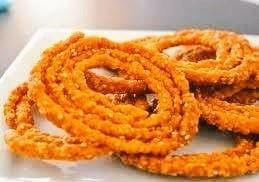 Namkeens are the best traditional treat when the hunger pangs come calling. One of the prime reasons why Indians love namkeens is these are good for health. The main ingredients of namkeens include besan (gram flour), cereals like cornflakes, different kinds of nuts like peanuts, spices and vegetable oil. The namkeens are made with the best ingredients available in the market, making these a healthy food option during the odd hours. Also salted snacks are ideal for people who want to avoid sugar dipped desserts or street food. Second reason is off course the lip smacking taste. The playfulness of salty and tangy flavours along with the sharpness of chillies on your taste buds keep you craving for more of these namkeens. The use of mint leaves brings a refreshing feel. Another reason why namkeens are found at every Indian home is these have long shelf life of at least 3 months. These are ready to eat food items which can be the best companion on picnics and road trips. Indian confectionary brands are always on the pursuit of preparing high quality and lip smacking namkeens. Let us checkout some of the tastiest and most popular namkeens available in the market. Boondi: Kara boondi is a spicy recipe which consists of boondi (small balls of besan), peanuts, cashew and curry leaves. All use of natural ingredients and no artificial flavours make this namkeen much better than any fast food. This is a must have snacks at Diwali. There are special dry fruit boondi available in the market. 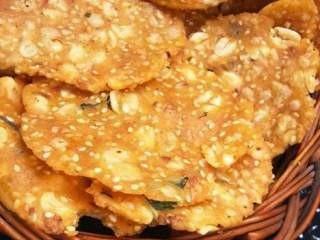 Chekkalu: This premium snacks recipe from Andhra Pradesh is a form of rice crackers. 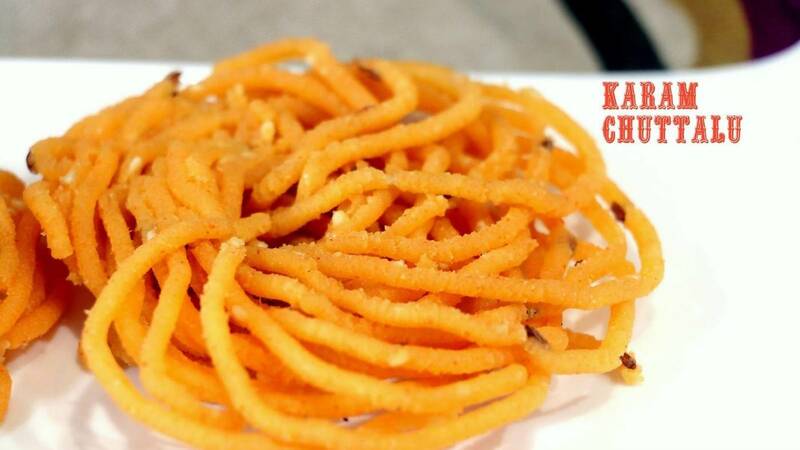 A combination of rice flour, chana dal and split moong dal, chekkalu is a perfect festive namkeen. 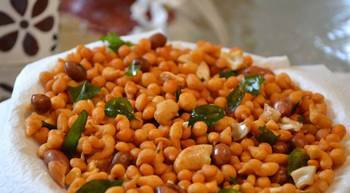 Bengal gram chekkalu and groundnut chekkalu are some other forms available in the market. Chakli: This spiral shaped namkeen is a speciality from Kerala. Also made with rice and gram flours, these salty snacks come in lot of variations; spicy chakli, black gram flour chakli are to name a few. Sakinalu: This type of namkeens is famous at Andhra Pradesh and Telangana. It is generally made from rice flour, spices, sesame seeds, carom seeds and white salt. Some of the varieties available in the market are Plain Sakinalu and Rice Flour Sakinalu. Kaju Namkeen: Cashew nuts are nutritious and an integral part of Indian cuisines. 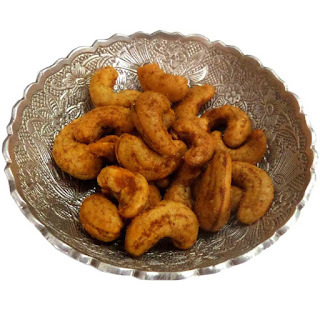 Kaju pakoda, salted cashew nuts, hot and spicy kaju are the most popular namkeen. The prime ingredient in namkeen is gram flour. So if the snacks are not stored properly then these might get easily soggy and lose the taste. Follow the below tips to keep these salted snacks fresh and tasty for a long time span. • Store in air tight containers. • Never refrigerate the namkeen. • Keep away from moisture and extreme sunlight. So why addict your kids with unhealthy street food and snacks; treat them with Indian namkeen which come with homemade taste and nutritional value.